Lost Maples is one of my favorite places in the Lone Star State. Tucked away in the rugged limestone canyons of the upper Sabinal River, this small park is big on beauty. This State Natural Area is a top Texas destination in the fall when the park becomes a palette of dazzling seasonal colors. The park is home to a variety of trees that thrive in the deep and fertile soil deposited by the Sabinal River. In addition to one of the largest stands of big tooth maple trees, the park is home to a variety of oak trees, Florida basswood, American sycamore, green ash, black willow, sugar hackberry, and pecan trees. All beautiful trees that play their part in the fall color palette. The months of October and November are among the busiest at the park. 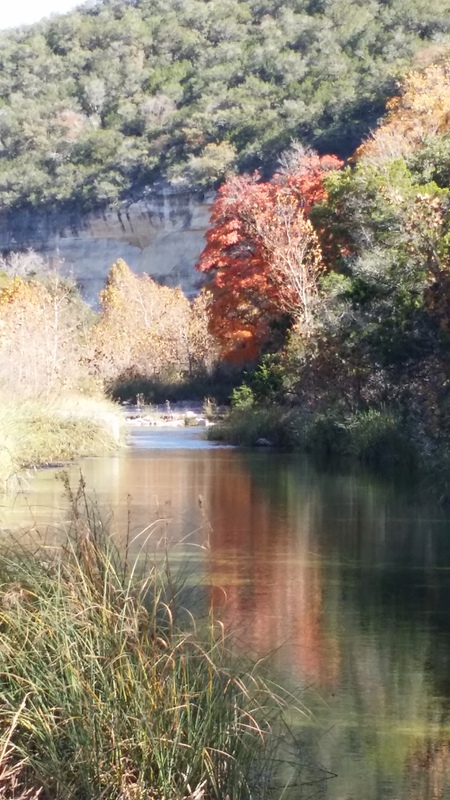 That’s when thousands of visitors make their way to Lost Maples to see the spectacular seasonal colors. You can check the weekly foliage report on the park’s website before you visit. This report is updated each Thursday and features photos of the color changes at the park. 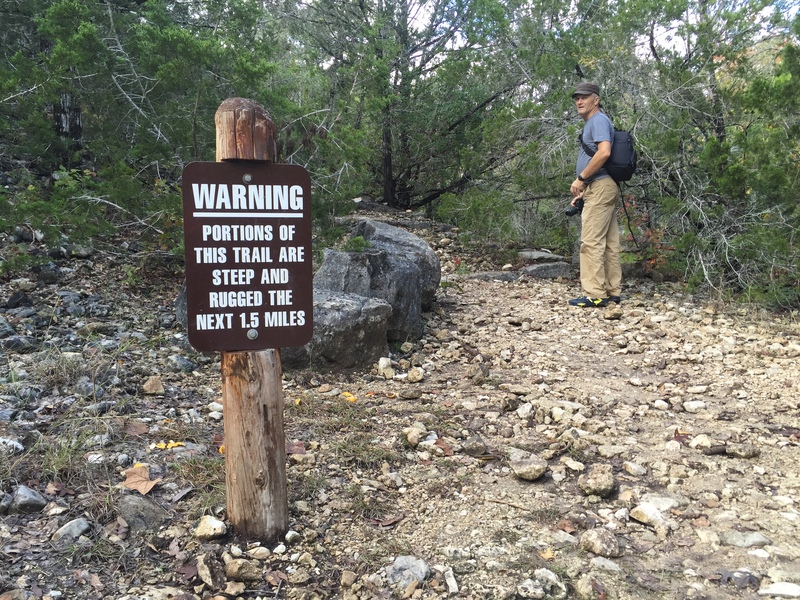 If you enjoy hiking, then Lost Maples will not disappoint. The park offers eleven miles of trails, some of which are rugged and reach elevations of 2,200 plus feet, offering amazing views of the surrounding area. But, be warned, some of these trails are not only rugged, they are steep. If you decide to hike, make sure you are in reasonably good physical shape and be sure to take plenty of water. 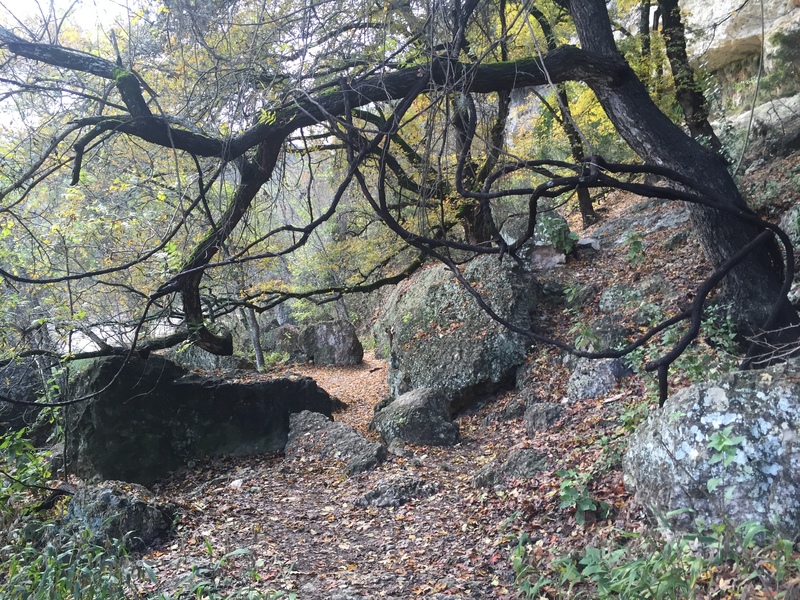 One of the most interesting features at the park is Monkey Rock located on a spur trail off of the East Trail. 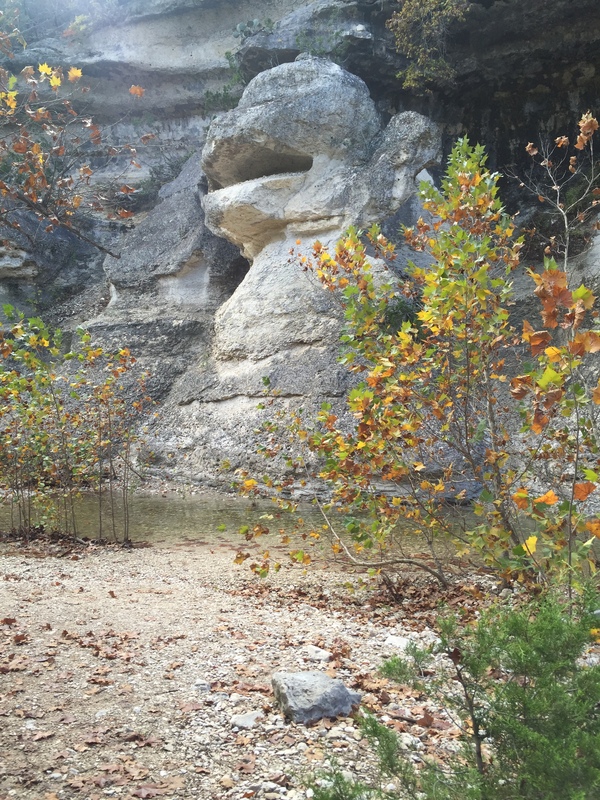 Once you hike into the clearing at the base of a bluff you will see it — the monkey-looking rock sculpted by wind, water, and weather. And, if you walk slowly along the trails, you will also see an abundance of wildlife. 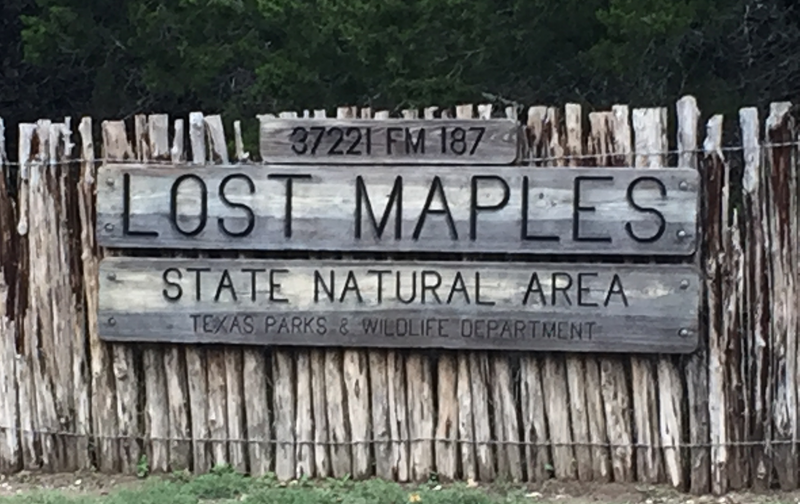 Lost Maples is located about five miles north of Vanderpool and seventy-one miles west of San Antonio in western Bandera County and far eastern Real County. The park can only accommodate about 250 cars. So, be sure to go early if you can or you may find yourself in a long line of cars waiting for a parking space to become available. Lost Maples is absolutely beautiful in the fall of the year. But this area is also beautiful throughout the year, so visit whenever you have an opportunity. Regardless of when you visit the park, you will appreciate this Texas treasure. And, whether you spend the day or camp overnight, Lost Maples will inspire you and make you glad you spent the day outdoors. 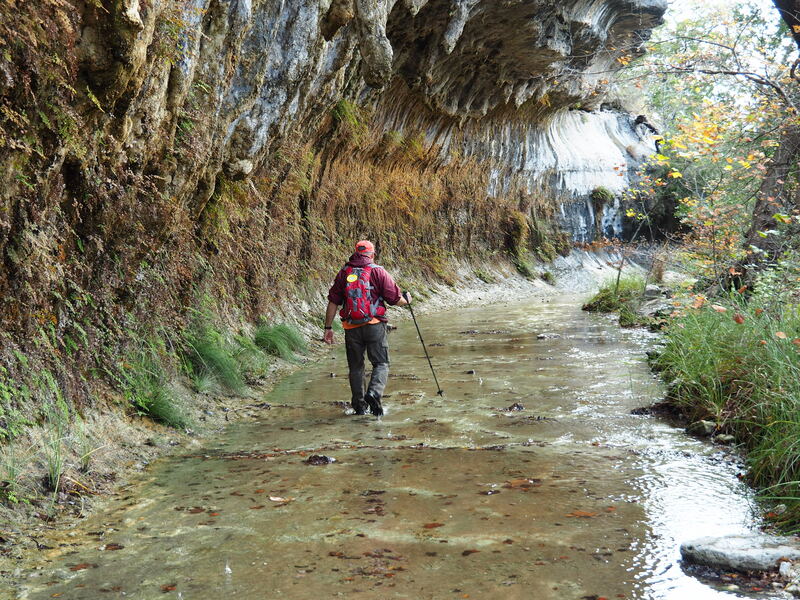 Please take a moment to read 10 Amazing Hikes in Texas You Need to Try. This entry was posted in Texas State Parks and tagged Fall Colors, Lost Maples, Lost Maples State Natural Area, Sabinal River. Bookmark the permalink.